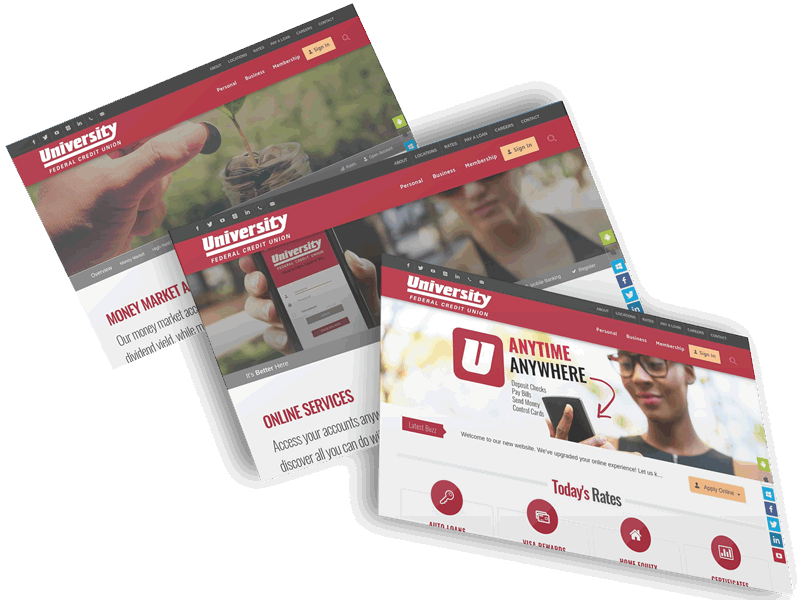 Responsive Design prepares credit unions for the future of the mobile age by making their websites look great and perform flawlessly across all devices. The use of mobile devices to surf the web is growing at an incredible pace, but unfortunately a lot of the web isn't yet optimized for those mobile devices. Mobile devices are constrained by display size and require a different approach to design and content layout than desktop computers. A multitude of different screen sizes exist across phones, tablets, desktops, TVs, and even wearables. Screen sizes are always changing, so it's important that your credit union site can adapt to any screen size, today or in the future. A responsive website is a single website that adapts to the device size of each unique visitor, regardless of whether it is a computer, smartphone, or tablet. 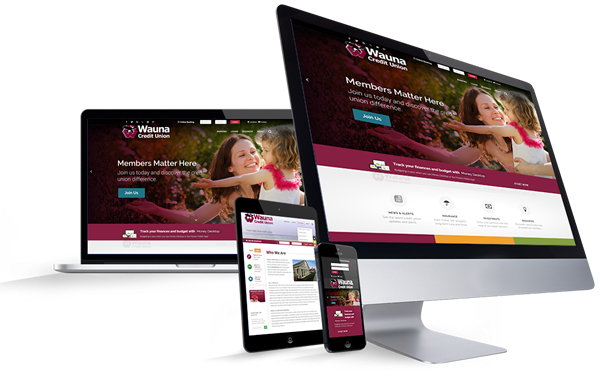 A responsive website also dynamically re-sizes its content and imagery to ensure the website is effective and easy to use on any device. Avtec’s responsive design solution can help position your credit union website as an interactive web branch with content, applications and tools designed to ensure member satisfaction. Clean, flexible, fully responsive and retina-ready design fits any device – from tablets to smartphones. Using Avtec's CMS you’ll be able to easily manage your website – creating, editing, or removing content with no technical experience required. We will integrate your site with Google Analytics or the reporting tool of your choice. Our team will create fresh, new compelling content for your products and services with expert copy writing and layout designed for brevity, clarity and member interaction. Your site will have an internal search as well as be optimized for online mobile search engines. Websites include mobile-friendly banner sliders that support swipe gestures and responsive resizing. Design style focused on minimalism, balanced colors, and clean design. Designed with a “mobile first” approach to fit virtually any device. Coded using the latest advancements in HTML5 and CSS3. Crisp, clear graphics that are optimized for devices with retina screens.